Beautiful Classic Updated All Brick Home with Bedroom on Main! 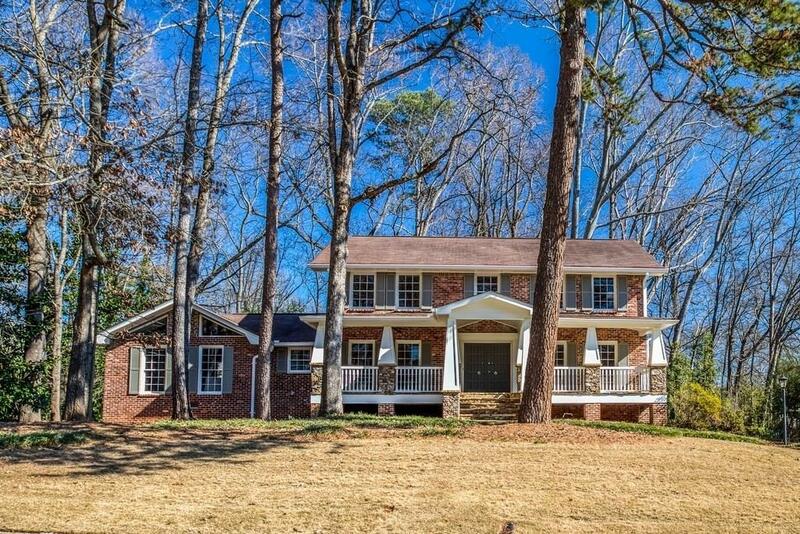 Prime Dunwoody Location in Sought After Vanderlyn School District! Gracious front porch welcomes you, entry opens to formal LR, DR. Renovated white kitchen w/custom cabinets, granite countertops, SS appliances, breakfast area all open to vaulted & beamed fireplace family room w/ built-ins. Walk out to deck overlooking private backyard. Hardwood floors, recessed lighting. Bedroom, BA on main. Master suite w/attached spa BA. 3 addl BR, hall bath up. Gorgeous terrace level w/ 2 BR, BA, family room w/fireplace. Directions: Take Mount Vernon Road East, Turn Right Onto Stratham Drive, Turn Left Onto Trumbull Drive.